Dress Like a Rock Star Day! 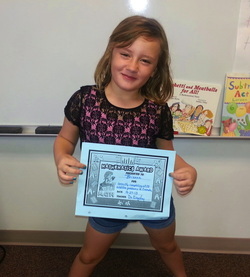 Congratulations to Brianna for completing all 50 addition problems in 2 minutes or less on the time test! Way to go! Her next challenge is to see how many problems she can complete in 1 minute! Congratulations to Addison, Zoey, Darbi, and Elaina for completing all 50 addition problems in 2 minutes or less on the time test! Way to go! Their next challenge is to see how many problems they can complete in 1 minute! Congratulations to Ramel, Eli, and Rondel for completing all 50 addition problems in 2 minutes or less on the time test! Way to go! Their next challenge is to see how many problems they can complete in 1 minute! Congratulations to Emily, David, Kaitlyn, and Calissa for completing all 50 addition problems in 2 minutes or less on the time test! Way to go! Their next challenge is to see how many problems they can complete in 1 minute! 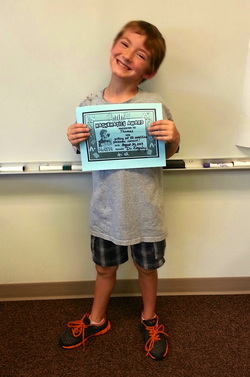 Congratulations to Thomas for completing all 50 addition problems in 2 minutes or less on the time test! Way to go! His next challenge is to see how many problems he can complete in 1 minute! 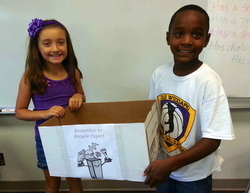 Morgan and Ramel will be representing our classroom on the Green Team this year. They will help with our classroom's recycling. 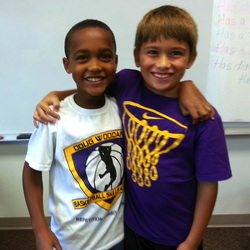 Congratulations to Jackson and Rondel for winning the student council election this year. 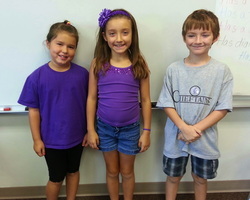 They will represent our class and Mrs. Harms' classroom. 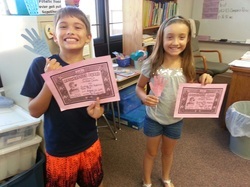 Congratulations to Morgan and Jackson for completing all 50 addition problems in 2 minutes or less on the time test! Way to go! Their next challenge is to see how many problems they can complete in 1 minute!